If you’ve ever had a challenging time convincing someone one-on-one (basically all of us), then you know how truly daunting it can be to convince an entire room of people. Giving a convincing presentation is challenging for many of us, even without the added element of public speaking anxiety. To set yourself up for success, remember these building blocks for a convincing presentation. When preparing a presentation and consider what topics to talk about, think about what you want to achieve. Giving a “good presentation” isn’t enough of a goal. Consider: Is your presentation meant to be a persuasive speech, or sell an idea to a client? Or are you trying to inform your audience about a specific topic? Knowing how you want your audience to feel by the end of your presentation is a helpful goal to keep in mind while developing your speech. Whether educating, informing, or convincing your audience, storytelling will always benefit you as a presenter. Culturally, we’re comfortable with narrative structures that include a beginning, middle, and end. To be effective, try to fit your presentation into a narrative structure. If your presentation involves persuasive speech topics, the story itself may be about your audience. If you’re hoping to solve a problem for them, tell it through a story, even one they might already identify with. If the presentation covers informative speech topics, using a narrative structure can help people understand the concept as a whole. If a narrative structure doesn’t fit your subject, try to at least include anecdotes or examples that emphasize your audience's pain points. The majority of us were not built to give boardrooms sales pitches. Public speaking anxiety is common. In fact, many of us break into a sweat at the mere thought of this style of presentation. When you spend so much of your energy during a presentation worrying about public speaking, being persuasive falls by the wayside--you’re just trying to survive. You might know your topic like the back of your hand, but convincing the audience is a different skill entirely. If giving presentations makes you nervous, consider trying public speaking classes or a meetup. Most cities also have Toastmaster chapters where you can learn to be more comfortable speaking to groups. No time to join a group? Start with these informative videos on the art of public speaking. Ultimately, when you become more comfortable speaking or presenting, then you can focus your energy on being persuasive and convincing. Sharpening your communication skills will not only make you more comfortable presenting, but also give you a foundation that will put your audience at ease and make them more receptive to your message. At the end of the day, the most convincing presentation will be one that is well prepared and well practiced. While it’s understandable to feel anxiety, practice and preparation can make all the difference between losing your audience, or winning them over. If you're looking to boost your communication skills and nail future presentations, learn how to speak confidently and master the art of public speaking with the help of one of Ace-up's many Communication Coaches. 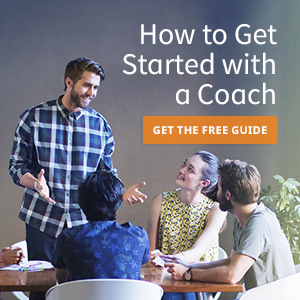 Each coach offers a free consultation so you can find the right person to work with - no strings attached.